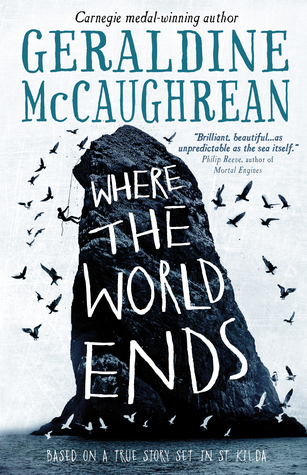 Where the World Ends is a novel about a group of youngsters (and a few men) whose working excursion to a stack out in the sea turns into a nightmare when no one comes to collect them after their working time is up. Just a few miles away from their home town, they become marooned on an inhospitable, dangerous, steep rock jutting out from the ocean. St Kilda was once one of the remotest outposts of British influence in the North Atlantic. A set of islands populated by a few dozen people eking out a harsh living based on sheep farming and foraging (harvesting wild sea birds for food, oil, feathers and fuel). The Warrior Stack, where the story takes place, was a prime location for fowling at the end of the summer, so youngsters were taken there to camp for a fortnight and harvest all the birds they could. Our protagonist, Quill, is one of the older boys. He has one good friend, Munroe, and a head full of fond thoughts about a girl who visited their island. He has some charisma, looks out for the younger boys, and knows how to get along with people even if they're unpleasant. The grown ups - a teacher, a gravedigger / assistant to the church, and only one practical man, aren't very effective as a leadership group. The gravedigger is self-important and soon establishes himself as minister / spiritual leader, but he is resented by the other men and, though obeyed, despised by most of the boys. The teacher sinks into depression, so he disengages from everyone and seeks out solitude a lot. And the practical man is content to do his own thing. There is no functional leadership, really. Which means that the only contestant for a leader whom the youngsters follow out of choice is Quill. With some semblance of diplomatic skills, a sensible head on his shoulders, courage, strength, etc., he becomes a de facto rival to the self-appointed minister. At times, Where the World Ends reads like a Scottish Lord of the Flies. Man vs nature very rapidly turns into Man vs other men. However, conflicts don't become as entrenched: as islanders from a tiny community, these men and boys are used to living in tiny groups, with frictions and resentments, but ultimately, the capacity to get along just enough to survive. As an adventure story, Where the World Ends is a bit bleak. The harsh surroundings are one thing, but the boys (and men) are mostly not very likeable. Quill is a decent guy, but the other boys include a hateful, toxic bully, a pompous uber-religious preachy kid, sullen loners, and kids ready to turn into an angry mob with the slightest encouragement. Essentially, this is a story about boys and men barely getting along (and rarely working together) to survive - there are almost no friendships, there is little camaraderie, and the only relief comes in the form of stories they tell each other to remind themselves of home and humanity. I was surprised by the bleak and harsh mood of the novel. I bought it under the impression that it is a children's book, or YA. (The author is an award winning children's writer, and some reviewers suggested it's a book for mini-Bear-Gryllises). Instead, I found myself reading a novel that would have been squarely aimed at adults, had it been written 40 years ago. 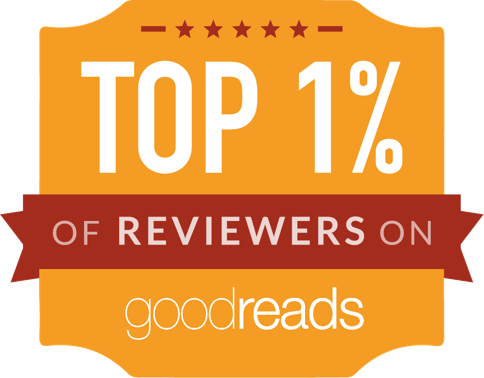 It's shorter than contemporary fiction for adults, but in tone, subject matter, character complexity and story, there is nothing particularly child-like about it. The brevity and pace won't test the patience of younger readers, but the story won't feel patronising or childish to even the most prolific adult reader.